For those of you who remember TV shows like Victoria Wood's Dinnerladies or Clocking Off, set in factories with gritty, warm personalities, this play Toast is of the same ilk. 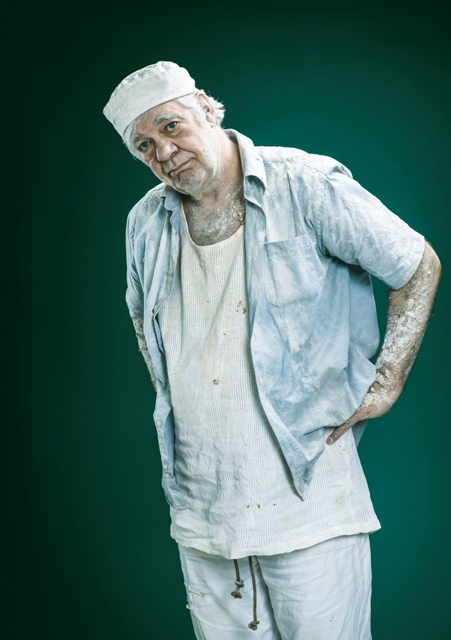 Matthew Kelly stars in the bread-making factory drama Toast. 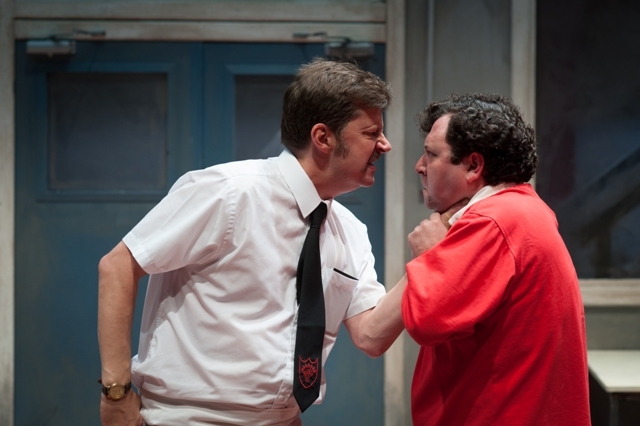 Toast was the first professionally produced play of writer Richard Bean's work, and it has reemerged for a tour, not only in the UK but also to America. Bean once worked in a bread factory for a year and this work has obviously come from somewhere close to his heart. I watched the show at Malvern's Festival Theatre, where it stays from February 22 to 27, but it also moves on to Bath Theatre Royal, Cambridge Arts Theatre and Nottingham Theatre Royal on tour until April, before moving on to New York and the 59E59 Theatre for a month. The characters - a group of men on a night shift (plus an eccentric temp) - have plenty of depth, which is essential as the plot revolves more around their relationships and motivations than any dramatic event. Set in a bread-making factory that is doomed for closure, it examines the relationships and hopes of a team of workers whose lives have revolved around the plant for up to 40 years, in the case of Matthew Kelly's character Nellie. Anyone who has worked in a factory will recognise the camaraderie, filthy banter, card games, teasing and smoking breaks. If anything, there's probably a little more smoking and swearing than necessary and I overheard a small group of people complaining for a refund at the interval due to repetitive use of the C word. But to be fair to Bean, this play is supposed to be set in a factory shop floor in downtrodden Hull in the 1970s. 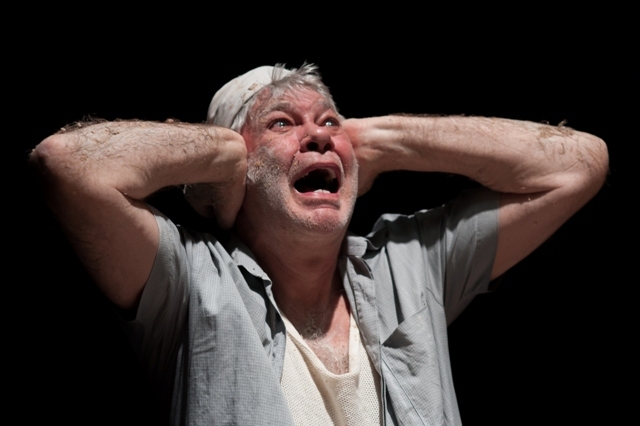 Following on from various recent roles for the Royal Shakespeare Company (RSC), Matthew Kelly plays rundown, dithering Nellie, whose worked at the factory all his life and is close to retirement. He gives an understated performance with emphasis on the small details, like his facial expressions and smoker's cough. There's a strong cast around him including Simon Greenall, better known as Alan Partridge's only friend Michael in the I'm Alan Partridge TV shows, as well as for creating the voice of meerkat Aleksandr Orlov in the Compare The Market adverts. Greenall is the happy go lucky ageing sidekick, who's always got a prank up his sleeve and would be lost without his job at the bakery. He gives a slick performance and comes across as the most likeable of the motley crew. The rest of the shift is made up of conscientious team leader Blakey, the ambitious Colin, the cheeky young Dezzie, angry and demotivated Peter and the strange student Lance, who adds an unexpected twist to the evening. 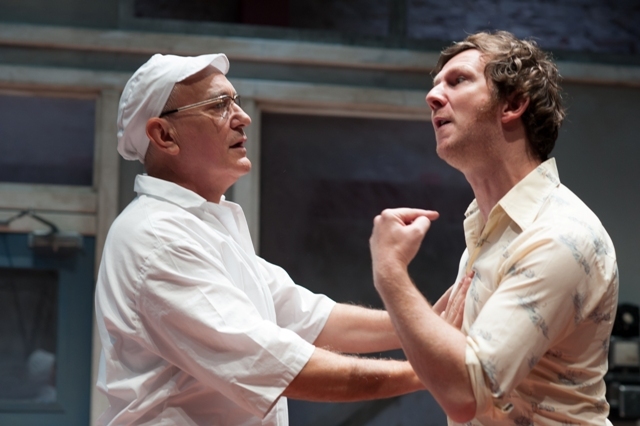 This play is a throwback to the British working class dramas of the 1960s where the conversation takes precedence over the action taking place off stage. It will be interesting to see if its subtlety is as well received when it reaches America as Toast is a gently humorous slow burner of a play. It offers sentiment and a slice of life in a bread-making factory from an era that is slipping away. Tickets cost from £17.36. For more information visit the Toast Tour website.